PHOENIX – “Chain migration,” “family reunification” and “family-based immigration” are three terms used to describe the same thing: migrating to the United States and gaining lawful permanent residency through an immediate relative who lives here legally. Family-based immigration, the term used by immigration lawyers and professionals, is the most common way for people to immigrate to the U.S. and reunite with their families. Its roots are in a 1965 law that was intended to increase immigration by Europeans but instead opened the doors to more migrants of color. Critics refer to the process as “chain migration,” and President Donald Trump – claiming it allows entry to “virtually unlimited numbers of distant relatives” – has promised to end it. There are four routes to becoming a lawful permanent resident through family-based immigration. The easiest and most common route is through immediate-family based immigration – being married to a U.S. citizen or being a parent of a U.S. citizen, Phoenix attorney David Asser said. The proof of documentation is simple and the process takes less time than other types, he said. 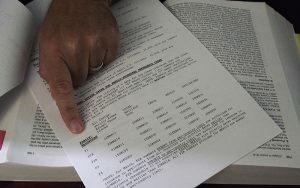 A U.S. citizen or lawful permanent resident can sponsor spouses, parents, siblings and children, he said, but a son or daughter’s marriage status can affect the process and their eligibility to be sponsored by a parent. Asser also said he had not heard the term “chain migration” until Attorney General Jeff Sessions used it early this year. Age is another factor in family-based immigration. 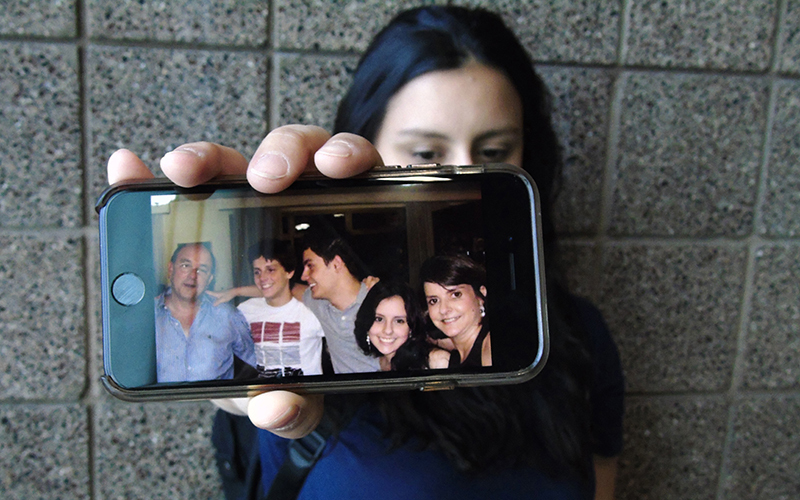 Renata Cló, 24, who’s pursuing a master’s degree in journalism at Arizona State University, is the only member of her Brazilian family still waiting for her green card – officially called a Permanent Resident Card – through family-based immigration. Her mother, father and two brothers have already obtained their cards, but it has taken longer for Cló because she was 21 and considered an extended family member by the time her parents started the process. Her younger brother, on the other hand, wasn’t yet 21 when their parents obtained lawful permanent residency for him through their business visas. Cló’s parents sponsored their youngest son and helped him obtain a green card. Her older brother married a U.S. citizen and has received permanent residency. She recognizes her family’s immigration story as one of privilege and said the process was fairly simple for them. But Cló now must wait five to 10 years for her green card, complicating her future. Family-based immigration has been practiced for decades, and it has deep, racially motivated roots. National Public Radio national desk correspondent Tom Gjelten, in an interview with Cronkite News, said current immigration policy is a direct result of the Immigration and Nationality Act of 1965, also known as the Hart-Celler Act, signed into law by former President Lyndon B. Johnson. Gjelten also authored the book, “A Nation of Nations: A Great American Immigration Story,” which outlines the history of immigration policy and the impact of the 1965 law. Johnson intended for this law to simplify immigration policy, planning to continue former President John F. Kennedy’s promise to “improve and modernize” immigration law. It abolished the national-origins quota system, established a new preference policy for immigrants with a specific skill level, and aimed to reunite immigrant families, according to the Migration Policy Institute. After decades of restrictive immigration policy, immigrants no longer were accepted solely on the basis of race and country of origin, but who they were as human beings. However, the Hart-Celler Act was opposed by Rep. Michael Feighan, D-Ohio, chairman of the House immigration subcommittee, who insisted on last-minute changes to gain his support, Gjelten said. Those changes, at the peak of the civil rights movement, turned the act into a vehicle intended to bring more Europeans to the U.S. and make America as white as possible. Feighan’s plan backfired. Instead of shrinking, the number of immigrants of color grew. Today, the majority of requests for family-based visas come from China, India, Mexico and the Philippines. Asser, the Phoenix immigration lawyer, said the high volume of visa requests means immigrants from those countries also are subjected to the longest wait times. Asser said an unmarried son or daughter of a U.S. citizen, born in Mexico and older than 21, would have to wait 22 years before he or she could sponsor their own children. Granting this entire family lawful permanent residency would require almost 50 years. Cló, studying at ASU on a student visa, said her opportunities are limited while she waits for her lawful permanent residency. She needs a certain number of class credits and can’t work legally unless her job is through ASU and the university provides a temporary Social Security number. “Even if I get a green card someday, I won’t have a good resume to be able to apply for a job here, even though I will be (qualified),” Cló said. In December 2018, she will receive a masters degree at the ASU journalism school, but her resume will have large gaps because she lacks job experience. Cló grew up in Belo Horizonte, Brazil, with her parents and brothers, one older and one younger. Her father started a family business in Georgia building drilling rigs and other equipment. The business required Cló’s father to travel to the U.S. more than his tourism business visa allowed. He applied for an L-1 visa, also known as Intracompany Transferee Executive, or Manager visa. Her father was eligible if “he invested a certain amount of money in the country and was employing a certain amount of American citizens,” Cló said. When applying to petition for a family member, a lawful permanent resident or U.S. citizen must fill out the Form I-130 from the U.S. Citizen and Immigration Services. In 2017, more than 900,000 Form I-130s were received by the agency, and almost 550,000 were approved, according to the USCIS. Immigrants in Phoenix filed 1,018 Form I-130s for immediate family members, 506 of which were approved. However, three times as many still were pending when this research was completed for 2017. 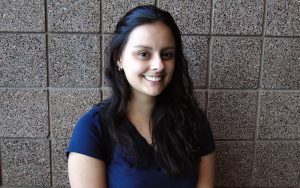 Karina Ruiz, executive director of the Arizona Dream Act Coalition, spoke of the consequences of discrimination and attacks on immigration policies. Family-based immigration “is providing a legal way for people to come (to the U.S.),” Ruiz said. “How do you solve an undocumented or illegal immigration issue (by) cutting the few avenues that people have to come here legally? Ruiz uses the term “family reunification” when referring to family-based immigration. This is true in that someone simply sponsoring their spouse is not considered chain migration. But if that spouse has a child who is sponsored after their parents both have permanent residency at least, that’s chain migration, Vaughan said. There is no cap on how many parents are approved within family-based immigration, she said, making it the most common and largest form of chain migration, as well as the most expensive. “That is one of the really important reasons for limiting chain migration is that it has turned out to be a fiscal cost for taxpayers,” Vaughan said. Although Vaughan said she supports a merit-based immigration system with a “much higher skill-level” than the U.S. requires now, she doesn’t think accepting more merit-based applicants would be a solution. In early 2018, both Sessions and Trump pressed for merit-based immigration instead of family-based immigration. But the U.S. has been accepting immigrants on the basis of both merit and immediate relatives since the Immigration and Nationality Act of 1965. “That has never been the premise,” Asser said about replacing family-based immigration with merit-based. “If you want to go that way, you are really changing the way society views the importance of family.